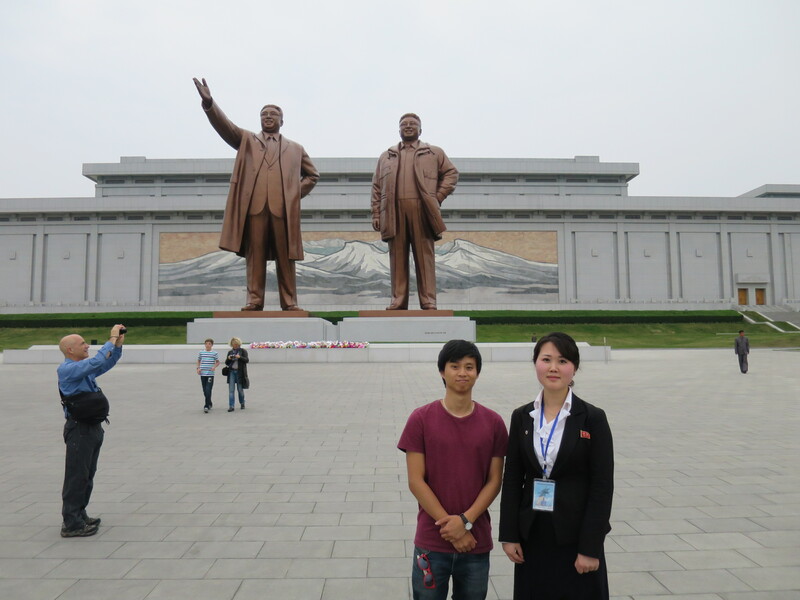 With our North Korean guide Ms. Jong and the statues of Kim Il-Sung and Kim Jong-il at Munsudae Hill in Pyongyang. A street scene taken from our tour bus. We were allowed at times to walk the streets but not often. Another street scene. 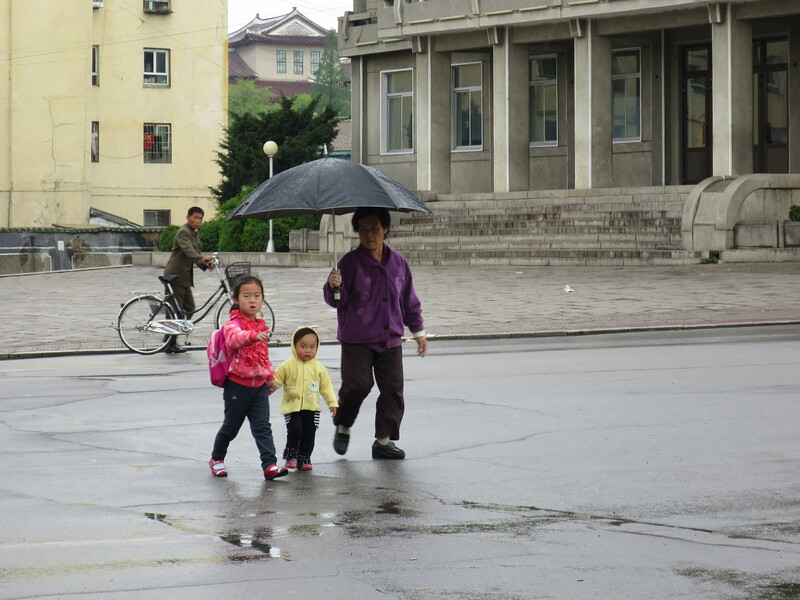 This was taken in Kaesong, a city close to the South Korean border. 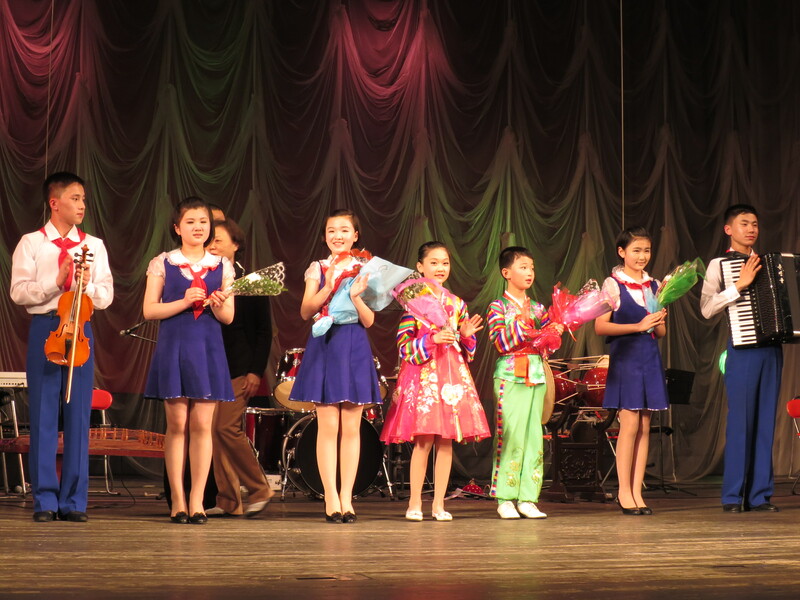 A performance by schoolchildren for tourists. 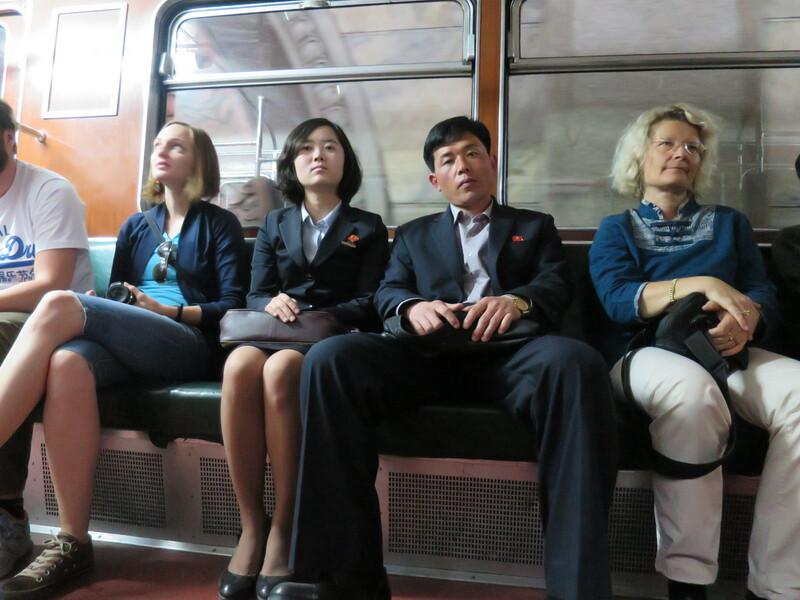 A photo taken while riding the Pyongyang metro. 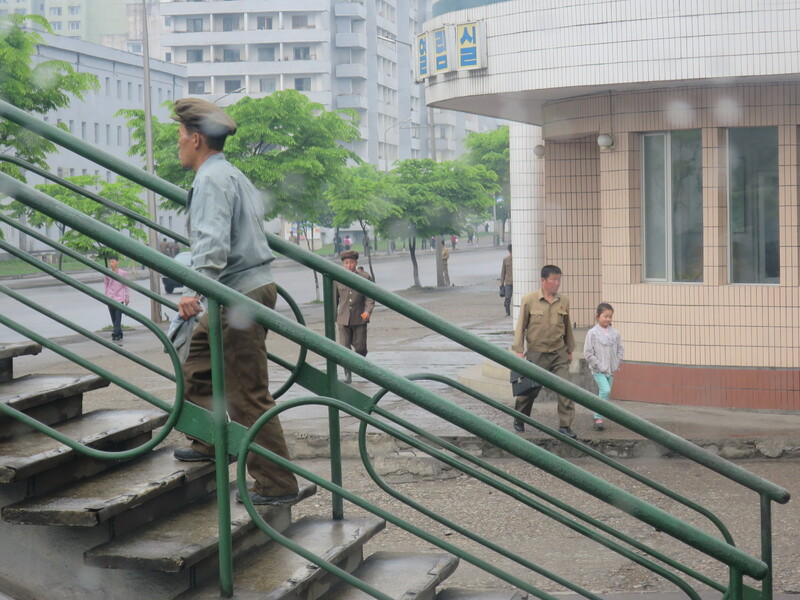 The North Koreans are flanked by my fellow tourists (19 of us in the tour group). 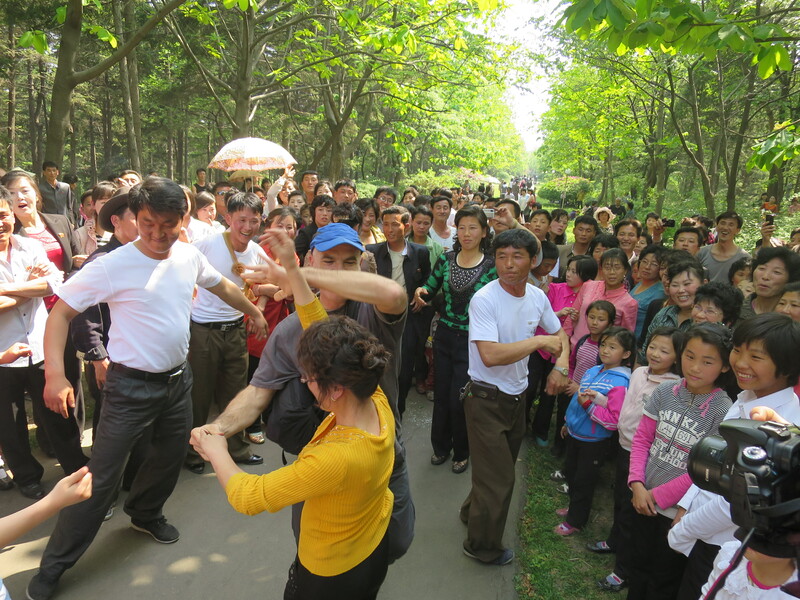 Dancing with the locals in a park in Pyongyang. It was a national holiday (May 1). Women in military uniform – not an uncommon sight – at a tourist location. 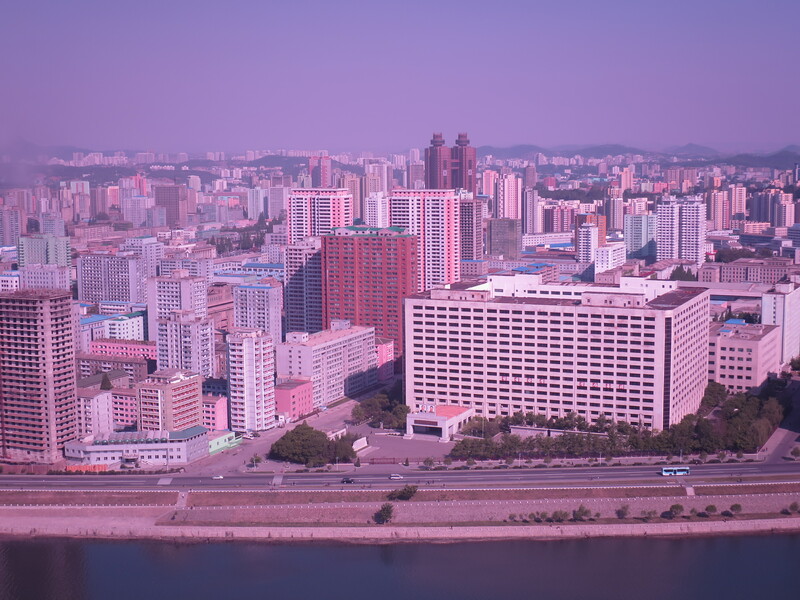 The view from my hotel (floor 39, room 19) at the Yanggakdo International Hotel, in the capital Pyongyang. The colour tint is due to the fact I used my sunglasses as a filter for my camera to cut down on the haze. Apologies for not updating this blog for a while. 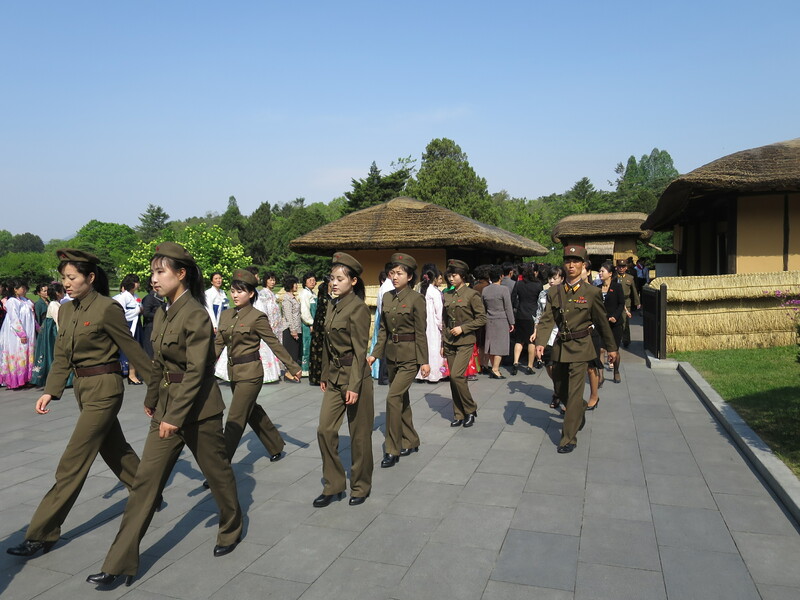 I got back from a trip to North Korea last Sunday. The trip programme packed a tight schedule. I took hundreds of photos and made videos too. It was a great tour. I will write about it in time – sometimes a bit of distance helps. Hope you all enjoy the photos but please do ask permission should you want to re-post or use them, thanks – Lu-Hai Liang.